and at a reasonable rate. Whether or not you are upgrading your communications services, you may need to upgrade your electrical wiring. 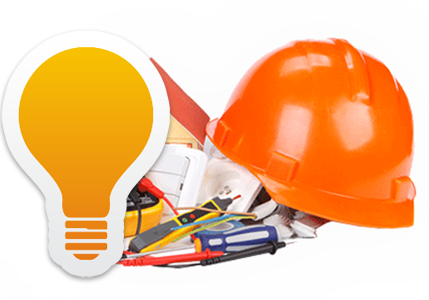 In addition to our infrastructure wiring and cabling, Dome Technologies offers full-service electrical contracting services. From panel installation to specialty receptacles, we will get the job done for you quick and at a reasonable rate. If you are updating your communications, it may also be time to update your electrical wiring. Electrical standards have changed over the last few decades and if your home or business is in an older building with original wiring, it may be time to upgrade for both technological and safety reasons. In addition, replacing older wiring can save you money! Is your new equipment causing you to pop breakers or blow fuses on a regular basis? Are you hearing a constant hum from your electrical box? If your electric panel has not been updated in recent years, it may be time to update and increase the size of your electrical panel. Newer equipment may draw more power as well as your outlets being antiquated. If this is the case, updating your panel should be done immediately. Do I Need to Update My Electrical Wiring? Are you having problems with surges or flickering lights? Is the current wiring pre-1975? Will you be adding or changing equipment or appliances in your business or home that may require more power? Do you need to add cable or telephone lines? Is your wiring code compliant? If you answered yes to any of these questions, it is time to call Dome Technologies. It is not uncommon for home or business owners to experience electrical problems when upgrading their equipment or appliances in an older building. The original wiring was obviously not set up to handle current equipment draws. Over the years, the wiring casing can crack, exposing the internal wiring to the elements. In addition, the electrical hardware becomes antiquated when compared to the wiring and equipment we have available today.